With the endorsement of our talented and skilled medical professionals, we have been able to supply a broad array of Antibiotic Drugs. Skilled professionals utilize only quality-approved ingredients during the processing in strict tandem with the set medical standards. Being processed using best in class ingredients under the stiff surveillance of adept professionals at vendors' end, the offered range is acclaimed for its effectiveness and high shelf life. Offered in varied packaging options, our clients can avail this range at industry leading prices. 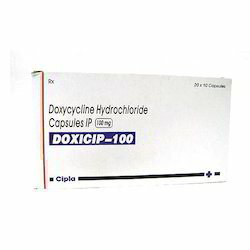 Counted amongst the invincible exporters and traders, we are engaged in offering our clients with Doxycycline. Useful for the treatment of upper respiratory tract infection, bacterial infection and urinary tract infection, these capsules are widely demanded in the industry. At our vendors' well-equipped infrastructure unit, these products are processed. Before dispatching, these capsules are packed in tamper-proof packaging material to avoid damage during transit. 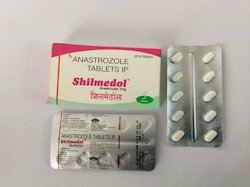 Anastrozole Tablet is an aromatase inhibitor, an anti-cancer medication use for the adjuvant or initial treatment of breast cancer in post-menopausal women. Estrogen causes or increases growth of certain breast cancers. 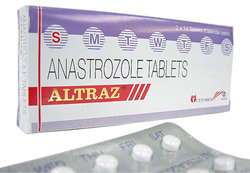 Anastrozole works by blocking aromatase enzyme, which is involved in estrogen production in the body. This leads to decreased tumor size or delayed progression of tumor growth in some women. 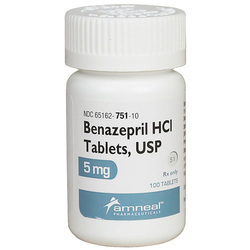 The FDA approved brand name anastrozole in 1995 Anastrozole is prescribed for hormone receptor-positive, early breast cancer in postmenopausal women as adjuvant treatment ( treatment following surgery with or without radiation ). 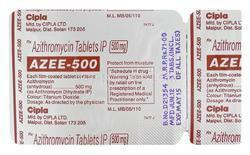 We are engaged in offering a gamut of Azee 250 mg 500 mg Azithromycin to our clients. These tablets are composed using azithromycin and are available in 250 or 500 mg. Our tablets are useful in the treatment of skin bacterial infections. 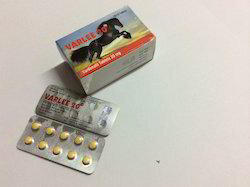 These tablets can be availed by the clients at market leading prices. Owing to our years of experience and in-depth knowledge, we are capable of trading, supplying and exporting Artemether Lumefantrine Tablets. All the drugs offered by us are formulated using quality ingredients and latest technology, at our vendors' end. We also have a team of expert quality controllers, which checks all the medicines on different parameters to ensure zero impurity. 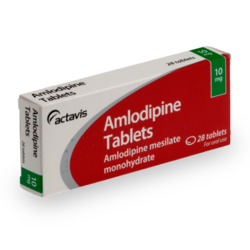 Amlodipine is a tablet used in the management of angina pectoris. It is a type of drug called a calcium antagonist, and is the generic version of Istin. 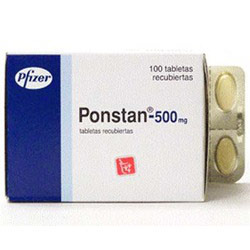 Irbesartan is an angiotensin 11 receptor antagonist which causes the blood vessels to relax and the blood pressure to fall. Best Grade Health Care Products Available Online at best prices,fast ,secure and efficient delivery services. 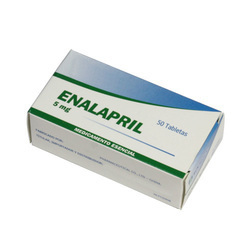 Enalapril, after hydrolysis to enalaprilat, inhibits angiotensin-converting enzyme (ace) in human subjects and animals. Ace is a peptidyl dipeptidase that catalyzes the conversion of angiotensin I to the vasoconstrictor substance, angiotensin ii. Angiotensin ii also stimu-lates aldosterone secretion by the adrenal cortex. Levofloxacin is a synthetic chemotherapeutic of the fluoroquinolone drug class and is used to treat severe or life-threatening bacterial infections or bacterial infections which have failed to respond to other classes. 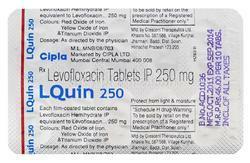 It is sold under various brand names, such as Levaquin 250-500 mg and Tavanic, the most common. In form of ophthalmic solutions it is known as Oftaquix, Quixin and Iquix. 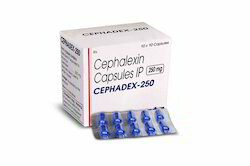 Cephadex 250 500 Cap or cephalexin is a first-generation cephalosporin , introduced in 1967 by Eli Lilly and Company. It is an orally administered agent with a similar antimicrobial spectrum to the intravenous agents and cefazolin. It is commonly marketed under the trade name Keflex (Lilly), Sporidex (Ranbaxy) or Nufex. 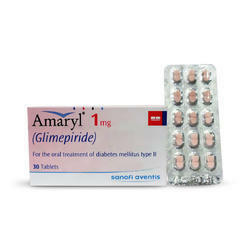 Azicip 250 500 mg is used to treat or prevent certain bacterial infections, most often those causing middle ear infections, tonsillitis, throat infections, laryngitis, bronchitis, pneumonia, Typhoid, and sinusitis. In recent years it has primarily been used to prevent bacterial infections in infants and those with weaker immune systems. It is also effective against certain urinary tract infections, such as non-gonococcal urethritis and cervicitis. Recent studies have also indicated it to be effective against late-onset asthma, but these findings are controversial and not widely accepted. 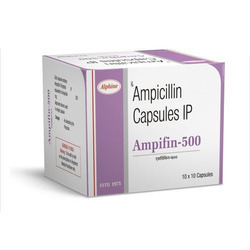 Ampicillin Capsules offered comprises penicillin antibiotic that works by killing sensitive bacteria by interfering with formation of bacteria's cell wall while on a growth path which weakens cell wall resulting in its rupturing and death of bacteria. Finding suitability for treating bacterial infections in adults and children, it is suitable for cases like urine infections, ear infections, respiratory infections. For medicine safety, it needs to be stored in cool, dry place, away from direct heat and light. Careprost eye drops 0.03% (also known as Lumigan and Latisse in the US) is an ophthalmic solution used to lower pressure within the eye, known as intraocular pressure (IOP) in the treatment of glaucoma, which is raised IOP caused by a build up of fluid (aqueous humour) in the eye. Increased IOP can cause damage to the optic nerve fibres that lead out of the back of the eye to the brain and may cause gradual loss of sight, starting with peripheral vision and eventually to total blindness in that eye. Careprost 0.03% increases the drainage of aqueous fluid out of the eye which decreases IOP and prevents loss of sight. 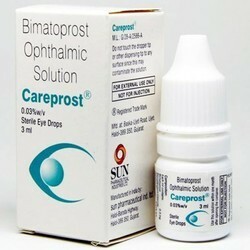 Careprost eye drops are also used to treat ocular hypertension (increased IOP without ocular nerve damage) to lower IOP. Careprost eye drops 0.03% are also used to treat hypotrichosis, which is when eyelash growth is abnormal or not sufficient to give you adequate or enough eyelashes, and allows you to grow longer, thicker and darker eyelashes. 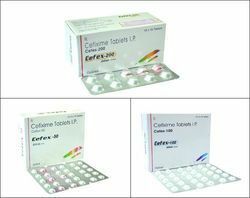 CEFIX 100-200 TAB (Cefixime) is an oral third generation cephalosporin . 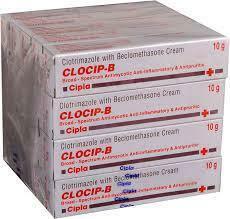 It is used to treat gonorrhea, tonsilitis, and pharyngitis. The usual dose is 400 mg in two divided doses for up to 5-7 days. In India it is available under brand names, such as, SECEF (Novartis ), Zeefix (Agio Pharmaceuticals Ltd.);Cefigard 50DT, 100DT, 200DT, Dry syrup(Vanguard therapetics Pvt Ltd), Ceftas-200 (Intas Pharmaceuticals); ZiFi CV-200 (FDC Limited) Alfi (Alkem Laboratories). 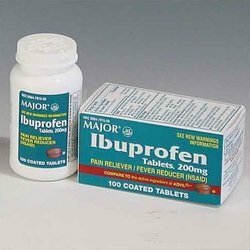 Ibuprofen Tablets offered provides working support as non-steroidal anti-inflammatory drug and supports treating minor aches and pains as a resultant of toothaches, common cold, headaches, menstrual cramps, arthritis, muscle aches. Other than this, the medicine is also effective in reducing fever and can be used for other conditions as determined by doctor. It works by blocking certain substances in body linked to inflammation. 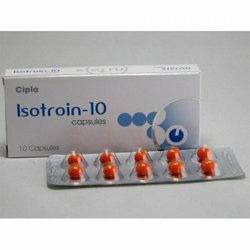 Isotretinoin Gel & Capsules is a medication used mostly for cystic acne. It is also a chemotherapy treatment used in brain, pancreatic and other cancers. It is used to treat harlequin-type ichthyosis, a usually lethal skin disease, and lamellar ichthyosis. Its effects are systemic and non selective. It is a retinoid, meaning it is related to vitamin A, and is found in small quantities naturally in the body. 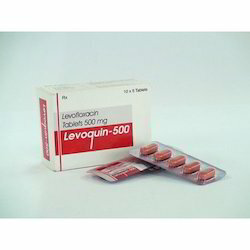 Levoquin OZ (Levofloxacin) is a synthetic chemotherapeutic of the fluoroquinolone drug class and is used to treat severe or life-threatening bacterial infections or bacterial infections which have failed to respond to other classes. It is sold under various brand names, such as Levaquin and Tavanic, the most common. In form of ophthalmic solutions it is known as Oftaquix. 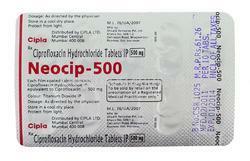 Neocip 250 500 Mg (Ciprofloxacin) is a drug used to treat bacterial infections. It is a second generation fluoroquinolone antibacterial. It kills bacteria by interfering with the enzymes that cause DNA to rewind after being copied, which stops DNA and protein synthesis. Ciprofloxacin is marketed worldwide with over three hundred different brand names. 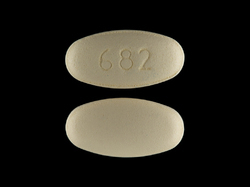 In the United States, Canada and the UK, it is marketed as Ciloxan, Cipro, Cipro XR, Cipro XL Ciproxin and, most recently, Proquin. Ovidac 5000 i.u. is used for medical conditions such as infertility, and pituitary gland ailments. It is also prescribed for weight loss. The principle use is for infertility. is a polypeptide hormone that is produced during the fertilization of the egg or syntrophoblast after conception. The polypeptide hormone aids in the development of an egg in the ovaries and stimulates development and discharge of the egg at the time of ovulation. Ovidac may cause the ovaries to produce more eggs than is normally produced resulting in multiple fetus pregnancies. 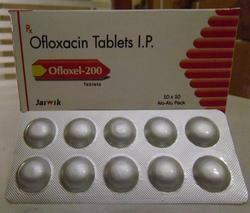 Okaflox 200 400 Tab (Ofloxacin) is a fluoroquinolone considered to be a second-generation fluoroquinolone. Floxin (branded version) had been discontinued by the manufacturer, in the United States, effective June 18, 2009, though generic equivalents continue to be available. 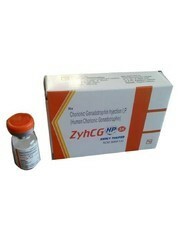 We are offering best treatment solution to all patrons by providing Zyhcg Injection. This injection is supplied to the patrons in sealed packing and is only for single use. Laboratory experts have used best non reactive chemical for the manufacturing of this injection. It must be injected into muscle. It also induces ovulation within 38 to 40 hours. We are a coveted organization that is engaged in wholesaling, trading, retailing and exporting Mefenamic Acid Tablets. 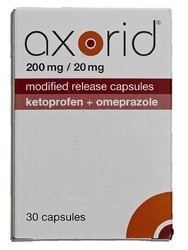 These are anti-inflammatory painkillers that are sometimes called non-steroidal anti-inflammatory drugs. Offered medicine is used to treat painful conditions such as arthritis, pain associated with heavy menstrual bleeding and pain after surgical operations.